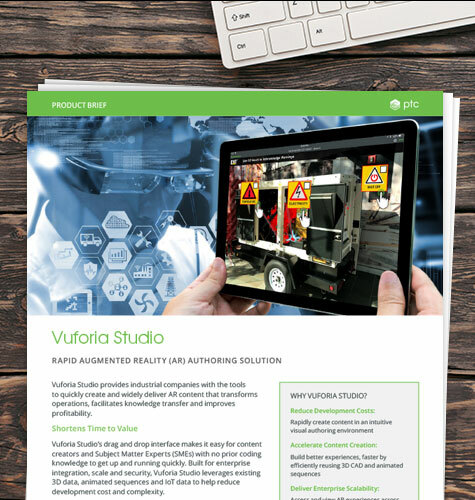 With Vuforia Studio, enterprises create, deploy and consume game-changing experiences for the industrial enterprise in the proper role-based context with Vuforia. Vuforia Studio is a highly efficient and easy-to-use authoring tool that transforms and contextualizes IoT data to create meaningful, actionable experiences tailored to a specific audience. Its intuitive design enables rapid creation and deployment of engaging experiences via desktop, mobile and wearable devices.